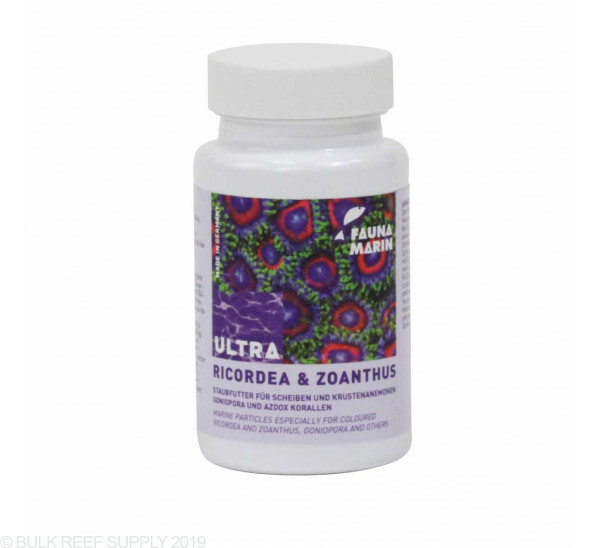 Specially formulated marine particles for colored Ricordea and Zoanthus as wells as small polyp corals like Goniopora and others. Feed as a dry food or soaked in Fauna Marin Ultra Min D.
Add 1/4 tsp with Aquarium water mix it and dose this amount for a 50 gallon tank. Do not overdose. When starting out, Fauna Marin recommends that you use less and see the reaction of the tank inhabitants. You can use for feeding a syringe. The food can be also feed as dry food. I have almost exclusively used this on getting the smallest of chalice frags to eat encouraging rapid growth and additional mouths. Great for feeding my JF Jack-o-lantern leptoseris. 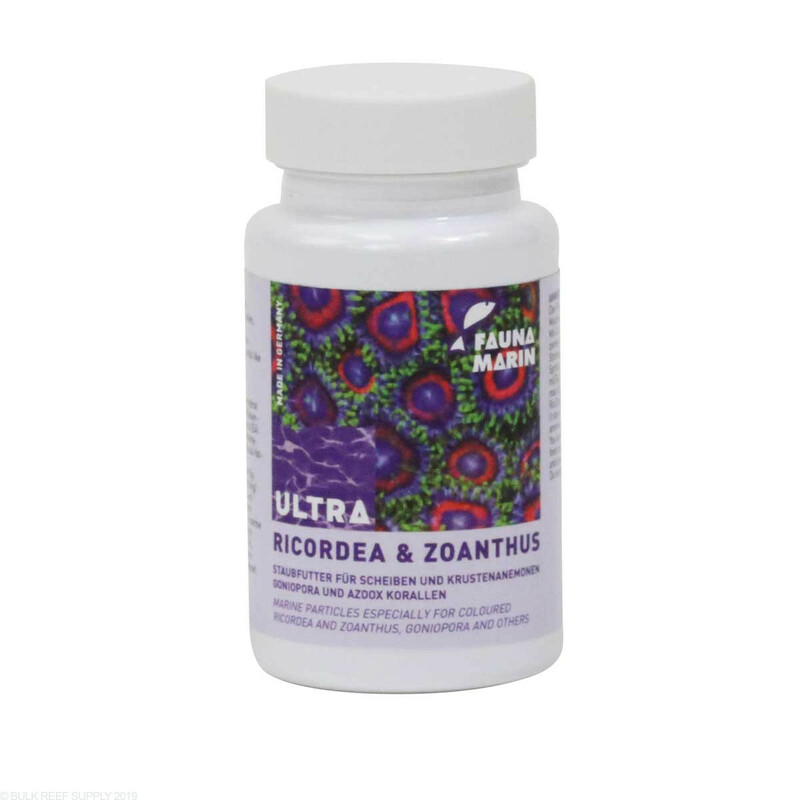 I have zoas, but never intentionally feed them although I sure they're getting some as well when I'm using this product. great product; non clouding. zoa's appear to perk up.. Thought I'd just try this, and have had good results! I turn off the pumps and spot feed this to zoas. After a couple months of doing that maybe twice a week, I have 11 buds on a frag that only had 8. Seems to work for me.